"Once in a while there is a party, with a capital 'P,' where every little piece just falls into place," New York event planner Keren Precel says. 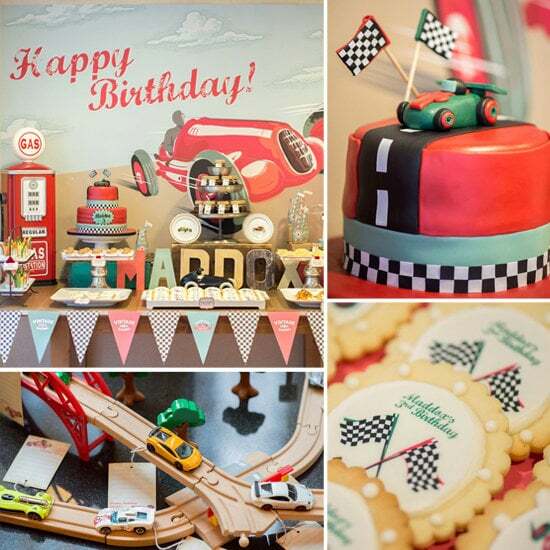 "This 3-year-old's race car birthday party was one of those." The totally eco-friendly party was divided into four sections: the "pit stop," where the kids got to decorate their own Melissa & Doug race cars; the "race track," where little guests could attach birthday wishes to tiny toy cars; the "gas station" food table; and the "trophy section" favor table. You have to check out every detail of this party to truly appreciate how special it is.